PWA for eCommerce. Buy or build? With every new tech, there is always the question: should we build it or buy it? We’ve built dedicated PWA frontends, and we’ve built a framework for that, so I think we have some experience to share. We got engaged with the Vue Storefront project in 2017. By developing this headless PWA frontend, we’re answering the most common eCommerce challenges like poor performance in slow network conditions and inconsistency on different platforms. I must admit that it works extremely well and ensures a positive ROI after 4-9 months. Building a PWA from scratch will take something between 3400 wh (for a small app) to 9000 wh (a dedicated project we’ve done). This means a cost between $400K and $1m. Using a cloud platform will be at least 75% cheaper, and Time to Market will also be 75% shorter (2-3 months instead of 8-12 months). The economic comparison is important but PWA implementation can bring unexpected design challenges that must also be taken into account. What other aspects should you take into consideration? A PWA requires front-end developers with experience in building a complex app. A PWA requires designers who understand native apps but can design for web-apps as well. The frontend app is a fully independent app which means you need to address issues like security, payment integrations, push notifications, service workers, etc. Caching strategies for a PWA are quite complex and some know-how will probably be needed to figure out the best strategy. There is no one team in the organization that can handle this; you need to find the right people, train them and teach them how to work together. You will probably need to mix some team members from the native-apps team with some other people from the web-app team. Frontend-developers are the hardest to hire right now because of the huge popularity of JS frameworks. You will need to hire them and support them with the latest knowledge and training about the ever-evolving frontend framework landscape. eCommerce features aren’t as basic as they might seem – taxes, prices, promotion rules, stock info sync, etc. It took us a few hundred hours to provide the required quality. Building a PWA in-house requires a lot of experience in the fields of native app and web app development. It is definitely more expensive than leveraging ready-to-use solutions, especially if you consider the possible lack of experience of the team members or immaturity of the processes in your business. Seeing all these issues, we’ve decided that the right approach is to build a Storefront Cloud, instead of offering custom development for every client. 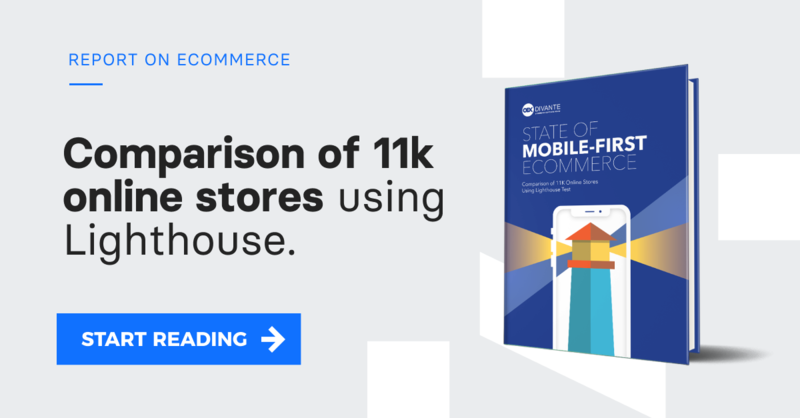 Storefront Cloud is a mobile-first eCommerce platform combining PWA, AMP and loyalty solutions. The platform provides a set of tools for building a consistent UX and improving customer loyalty on all touchpoints. I believe it’s a good idea to talk with us about your mobile numbers and just find the best way of introducing a PWA to your ecosystem.